Even before the guns fell silent across the Western Front a century ago, staff at the Michelin Touring Office in London were busy preparing guidebooks for motorists intending to go see the trenches for themselves (see images above and below). 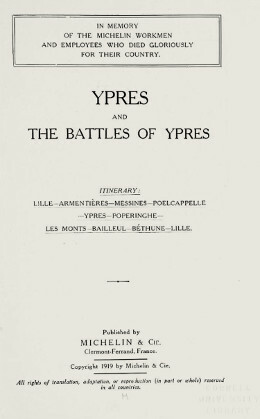 By the early 1920s battlefield tourism had become big business, especially around the Belgian town of Ypres, where the first museum of the Great War opened in 1923 to cater for the coachloads of veterans and their families who flocked to the area. A hundred years after the first tourists arrived, school parties vie for space at the best known memorial sites and each evening large crowds gather at the Menin Gate for the Last Post ceremony commemorating those lost in the battles nearby. The mantra is “Their Name Liveth For Evermore”. But in reality, how long is evermore? A year later, as we approach the centenary of the Armistice, Danny Boyle’s Pages of the Sea project is promoted as a chance for people to gather on beaches on 11 November to say “thank you and goodbye” to those who served. There is an air of finality to the centenary of the armistice of November 1918, and those involved in the heritage industry know that visitor numbers to the Western Front will fall as the media remembrance bandwagon turns instead to the 75th anniversary of D-Day and the battles of the Second World War. There is a dark side to the current fascination with the Great War – and sales of artefacts are booming. Even now, thousands of men lie undiscovered under the killing fields of the Western Front, still wearing equipment that will fetch a high price on internet sales sites. There are regular reports of illegal metal detectorists finding remains and leaving the bones of the dead scattered like litter on the ground after stripping them of anything of value, thereby destroying any hope of identifying the body and giving him a marked grave. To most people it seems sacrilegious to treat war dead in such a way; but the commemoration of the ordinary soldier is still a new phenomenon. 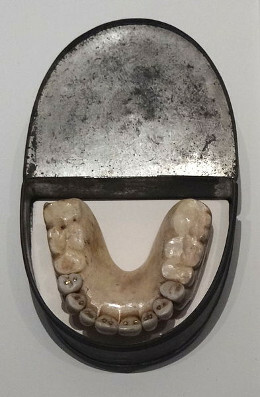 A century before the Great War the bodies of those killed on the field of Waterloo were stripped of their teeth to make fashionable dentures for wealthy socialites, and their bones were eventually ground down to make fertilizer. On 13 September 2003, over 300 metal detectorists took part in a family fun rally on a privately-owned field on Marston Moor in Yorkshire, raising around £5,000 for charity. No-one knows how many artefacts were found, or what became of them, but among the items officially reported were lead shot, pistol balls, spur buckles, parts of powder flasks and a dozen coins dating them to the period when around 4,000 of the 17,500 strong Royalist army were killed on that field in July, 1644. 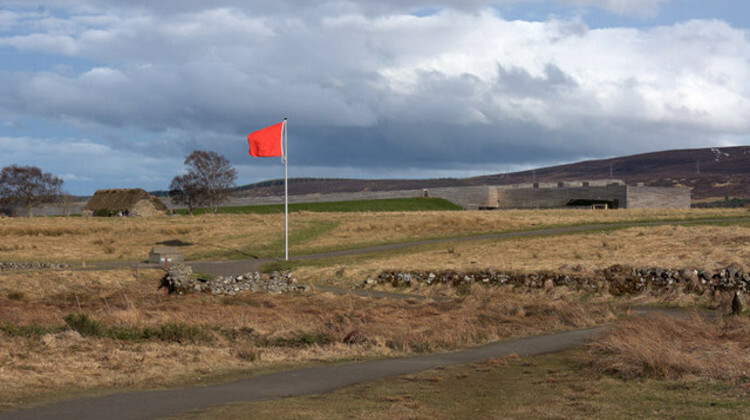 In the course of a single weekend a perfectly legal family event destroyed a mass of evidence of a turning point in British history, sparking debate about what should be done to protect and commemorate such places. Fifteen years later, the debate continues. 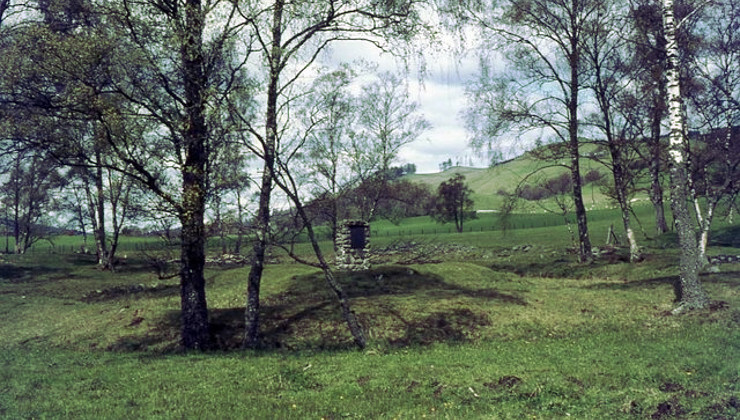 The field at Bosworth is under threat from development as a test track for cars; at Killiecrankie, the site where 2,000 Jacobites died in 1689 (below) is due to become a layby for drivers to drop litter and answer the call of nature. 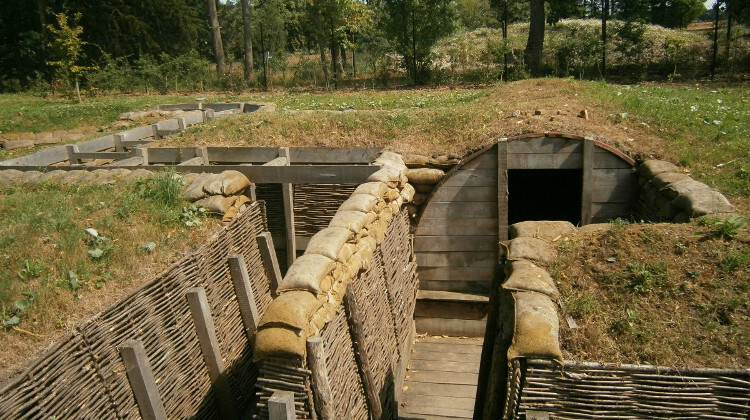 The First World War is seen as unique in its impact on British society and a great deal is invested in preserving sites across Belgium and France by British groups intent on maintaining them for the future – but what of other battlefields closer to home? The 702,410 officers and men of the British Isles officially acknowledged as having lost their lives in a war remembered as four years of industrialised slaughter represented 2% of the population of the country. 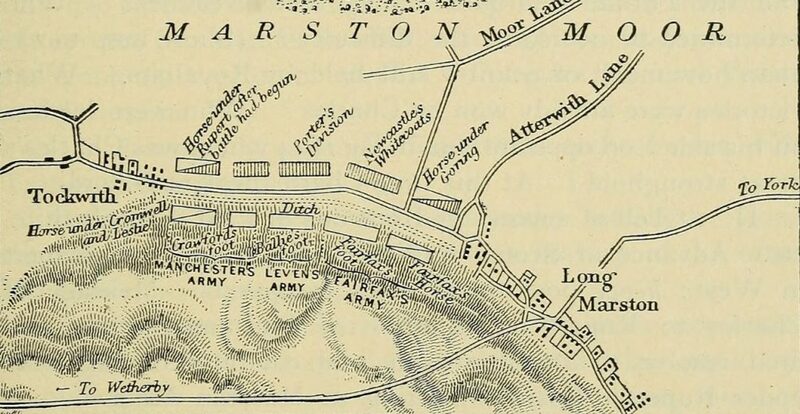 But on Palm Sunday, 1461, the armies of York and Lancaster clashed near the village of Towton in Yorkshire (above). By nightfall, 1.5% of the entire English population were dead in a single day, yet are all but forgotten. According to the Battlefields Trust charity, most people in the UK live within half an hour’s drive of a battlefield and very few families will not have had an ancestor fight on one of them. 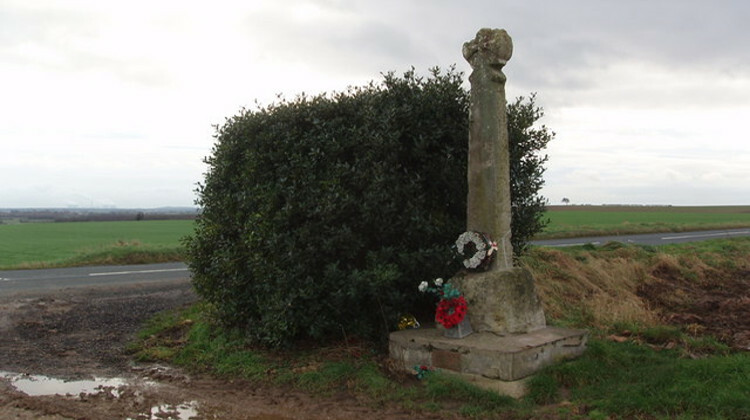 Despite this, of the 270 battlefields identified across Britain only four – Hastings, Bosworth (below), Bannockburn and Culloden (above) – have been given funding to support visitor centres. 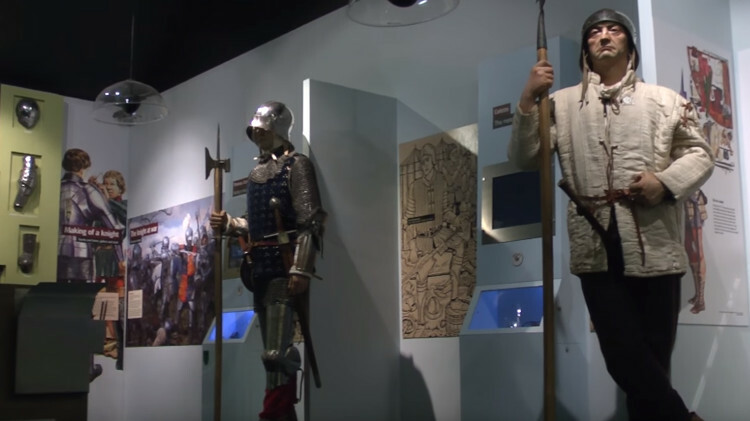 And only two – Towton and Bosworth – have been the subject of any systematic archaeological surveys in a race against time to locate and record the debris of war before it is taken away by amateur treasure hunters or buried forever beneath concrete. 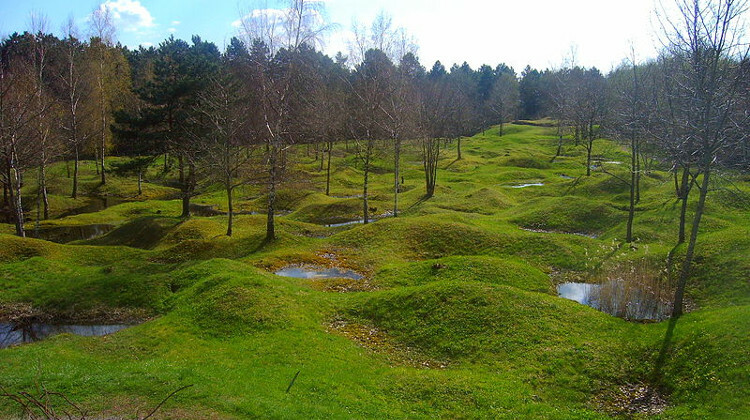 There are many reasons people want to preserve battlefields. Some go to see for themselves where their family shed its blood, others seek to understand the history of the area and how a battle was fought, yet others simply to contemplate the events that took place there. 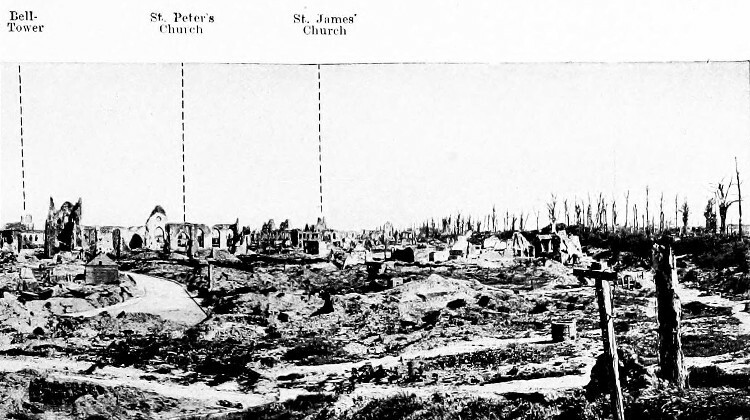 The scars on the landscape of the old Western Front are vivid, those of older battles are not. An apparently empty field is of little interest to the casual visitor unable to visualise events there. If the biggest part of history is the story, it is for the storytellers to awaken the archaeological imagination of the reader, to repopulate the empty field with men and horses, to understand the connection between land, events and the people who view them. How long is evermore? Until the final trace of the field is gone and the last person cares enough to remember. Tim Lynch joined the army at 16, serving in the Falklands War and Northern Ireland as well as tours in Berlin and Kenya. Alongside his writing career he is an award-winning documentary photographer and amateur archaeologist working as a member of the Digging Dad’s Army community archaeology project currently exploring the impact of the two world wars on communities in and around London. His interests include the English Civil Wars and 20th century conflicts and, in particular, the way in which such events are remembered by society. He is the author of several books on military history and a regular contributor to magazines in Britain and the USA. Tim’s books include Dunkirk 1940: Whereabouts Unknown and, with Jon Cooksey, Battlefield Archaeology.